Yoho is just over the border from Banff National Park and borders Kootenay National Park on the south. It is part of the Canadian Rocky Mountain National Parks UNESCO World Heritage Site. I’ve always wondered why the 4 adjoining national parks in the Canadian Rockies weren’t just one big park, or at least 2 parks with one in each province. It is all basically the same area in the same mountain range, the only difference being that 2 are in Alberta and 2 are in British Columbia. 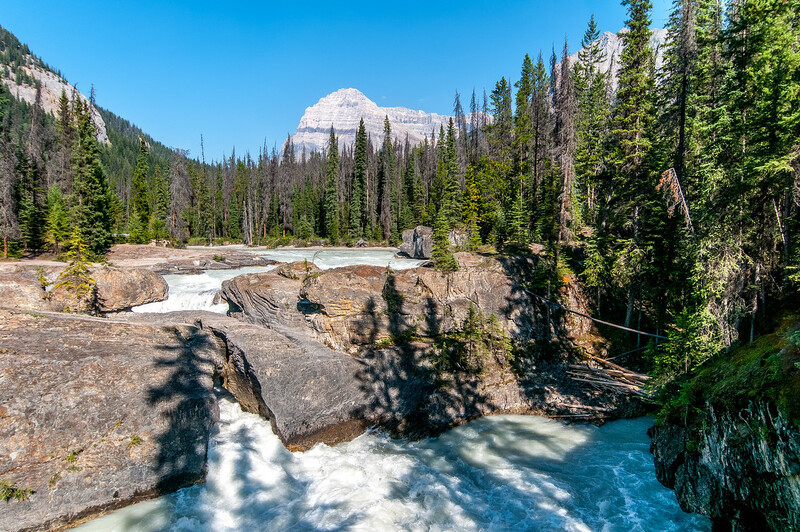 Yoho is the smallest of the four adjoining parks in the Rocky Mountains and everything you can explore in the park without backcountry hiking is located off of TransCanada Highway 1 which goes through the park. 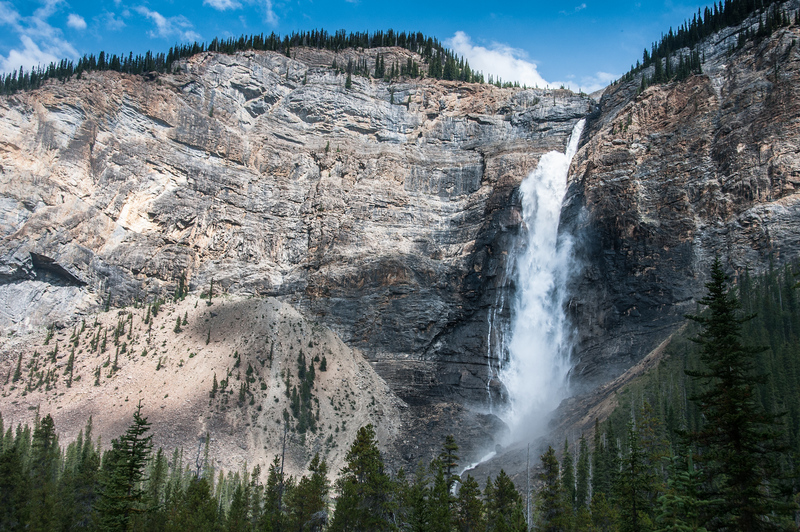 In my opinion, the two highlights of the park are Emerald Lake and Takakkaw Falls (shown above) which is one of the tallest waterfalls in Canada. If you are staying in Banff, it is very easy to visit Yoho on a day trip. The highway running through the park is just north of Lake Louise. It is actually easier to access Yoho from Lake Louise than it is from the town of Golden, BC on the other side of the park. Many people visiting the Canadian Rockies actually forget about Yoho and Kootenay, even though they are adjoining, and just focus on Banff and Jasper. It is worth taking a day to see Yoho as part of any trip to the region. 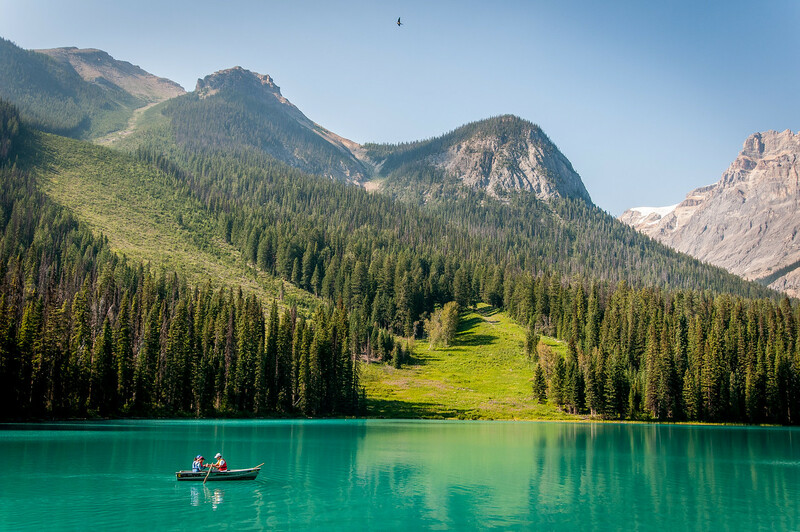 Emerald Lake – There are 61 lakes and ponds that make up Yoho National Park. However, this is the largest and also the most popular. It is even the premier tourist attraction because of the pristine conditions of the lake. Tourists who visit the park come to Emerald Lake for boating, camping, and hiking. Lake O’Hara – This lake is located within the alpine area of the park at an elevation of more than 2,000 meters above sea level. It is a great destination for mountaineering, hiking, and camping. Kicking Horse Pass – This is a high mountain pass in Yoho National Park that is among the most visited tourist attractions in the park. It is located at an elevation of 1,627 meters. 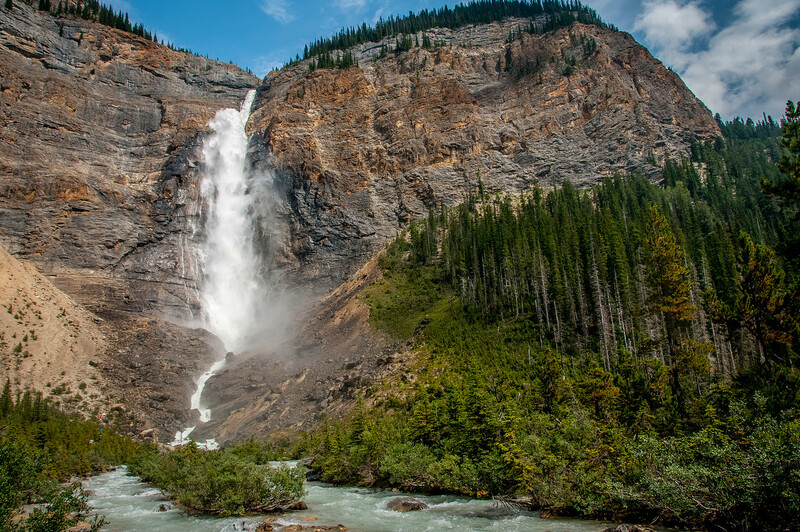 Takakkaw Falls – This waterfall is the main feature of the Yoho National Park in British Columbia. The highest point of the waterfall is at 302 meters.